Summer is coming. And while skis get hung up and bikes come out of storage, the real questions for Whistlerites are, “What beer am I going to drink?” and “Where am I going to drink it?” Valid questions for a town that loves to party as much as it loves being active. There really isn’t anything that tops a finely crafted beer after sweating on the single track or hiking trails all day. But there’s often a debated decision among friends on which of the Whistler craft beer venues is best to visit for said post-activity libations. 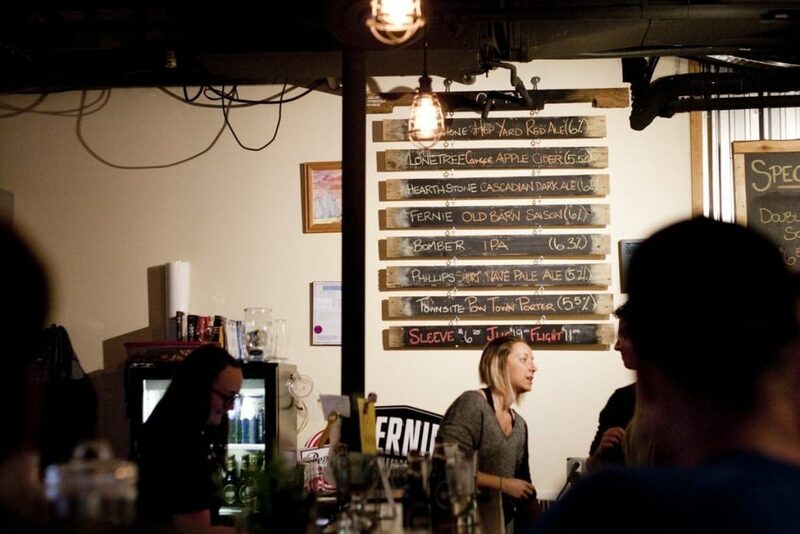 Thankfully, we’ve distilled some of the best Whistler craft beer venues down to this list (in no particular order), along with each venue’s choice draft beer. Whistler’s most popular apres ski/after bike venue, Longhorn has switched up its tap selection in recent years to appease the discerning beer drinker’s palate. The exterior renovations in 2015 gave the patio a much-needed face lift, now made even more enjoyable with the an impressive choice of ales. Runner Up: Parallel 49 Gypsy Tears Ruby Ale. A staple from one of Vancouver’s most popular craft breweries, Gypsy Tears balances caramel malts with dry hopping for an easy-drinking session ale. Yellow umbrellas and golden beers. Summer in Whistler is perfect for beers on the patio. It may be an Irish pub with boot-stomping folk music, but there’s a whole lot more than Guinness and Murphy’s on hand at the Dubh Linn Gate. Sporting Whistler’s largest craft beer selection with 25 taps (including a few seasonal rotations), there’s never any complaints about the variety. The patio is the perfect place to knock back a couple of pints with a hearty food menu worthy of any Dublin watering hole. Keep an eye out for the Chef’s Beer Dinners where you get to sample a multi-course meal with specific BC craft beer pairings. Draft Choice: Steamworks Farmhouse Wheat Ale. For hot afternoons this wheat ale is incredibly refreshing, the French Saison yeast fermentation giving it a distinct flavour with spicy and fruity undertones. Runner Up: Whistler Brewing Co. Grapefruit Ale. If you need to squeeze lime juice into the bottle, you’re drinking the wrong beer. Instead, order a Grapefruit Ale and taste citrus beer done right. Choices aplenty. The Dubh Linn Gate boasts Whistler’s biggest selection of craft beers. One of Whistler’s favourite sports bars, Tapley’s is as much known these days for its local gatherings and live music nights. A strong selection of taps from both Whistler Brewing Co. and North Vancouver’s Deep Cove, you’ll never again have to sit through another sporting match or work gathering wishing the beer was better. Draft Choice: Fuggles & Warlock Destiny IPA. One of the most popular stalls at the 2015 Whistler Village Beer Festival, the Richmond sci-fi nerd brewery Fuggles & Warlock knock it out of the park with this citrus-heavy hop concoction. Runner Up: Watch out for the soon-to-be-released collaboration beer between Deep Cove and Persephone Brewing, known as California Common. Only at Tapley’s. A tough day at the office. Sampling the selection at Tapley’s. It may not have a glamorous patio, but the quality of beer and food at Brickworks is unrivalled in Whistler’s pub scene. 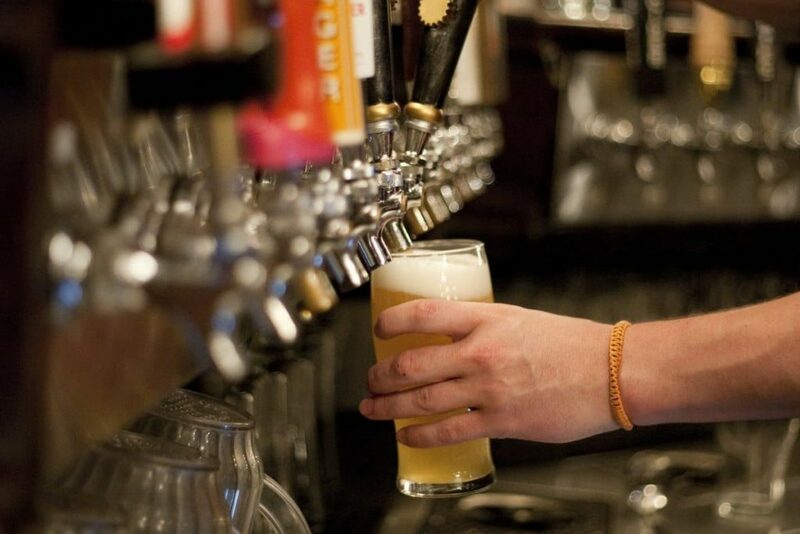 Servers know their way around their own comprehensive beer menu and can pair suitably with your choice of eats. Look out for the ever-popular cask nights, where regional breweries bring their latest cask creations and patrons vote for the next rotating tap line. 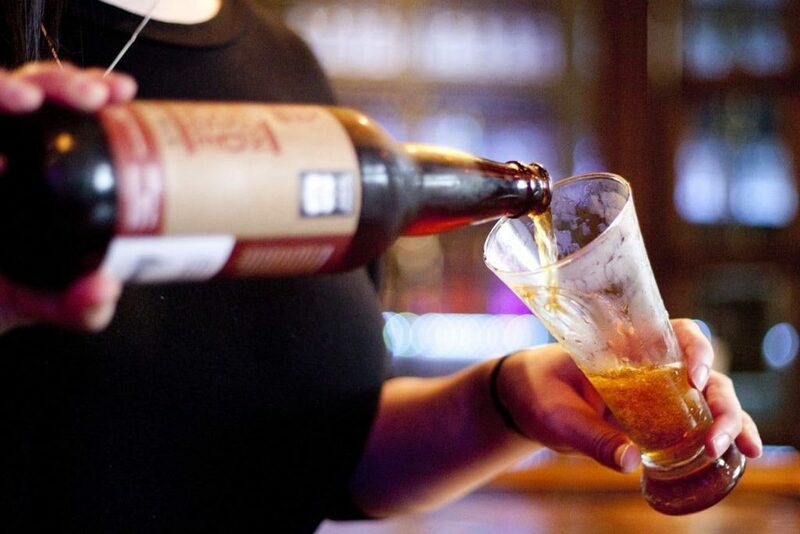 Draft Choice: Bridge Brewing Bourbon Blood Orange Wheat Ale. Stock wheat ales tend to taste a bit samey, but the Bridge Brew crew shook things up by adding the unconventional ingredients of hard liquor and weird-coloured fruit. The result is a balanced and sessionable beer that’s as good for a rainy day as it is for a mid-July heat wave. Runner Up: Mission Springs Brewing Blue Collar Pale Ale. A favourite amongst local tradesmen tucking into post-work libations, Blue Collar keeps it simple yet tasteful. A great choice for craft beer newbies or veterans warming up for the hoppier beers. Poured to perfection. The servers know their way around a beer at The Brickworks Public House. 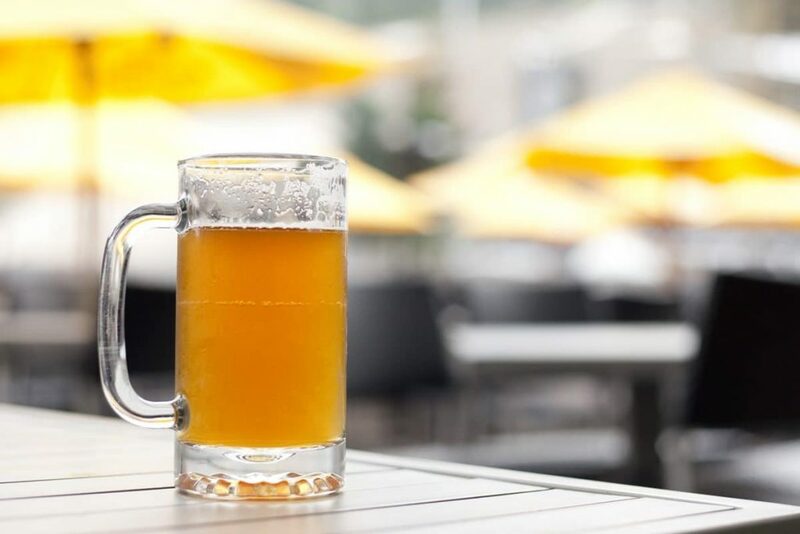 The Fitz Pub may be situated away from the main drag of Whistler Village, but that doesn’t stop the plethora of local beer appreciators stopping by on a daily basis. The living room atmosphere – complete with board games, card games, and staff that will teach you the rules – is just so unique to Whistler’s crowded bar and pub scene. And the best thing? Every tap rotates once the keg runs out, meaning the chalkboard selection is different every week. Draft Choice: Phillips Short Wave West Coast Pale Ale. Medium malts and citrus hops make this a perfect twilight summer beer. Tough to drink just one. Runner Up: Anything else on the chalk board. It’s all pretty good. On board. The Fitz pub sports an impressive beer list on its chalk board. Pizzeria Antico: It’s a great pizza place but the beer selection is also off the hook. Stones Edge: Lots of great BC beers on tap with quality food and a patio. Great spot to escape the village stroll crowds. With a reputation for a world-class resort experience, Whistler is now well on its way to having a world class craft beer scene. There’s never been such a variety in its pubs and bars, and the annual Whistler Village Beer Festival in September even lets attendees vote for which brewery is awarded the coveted tap contract. 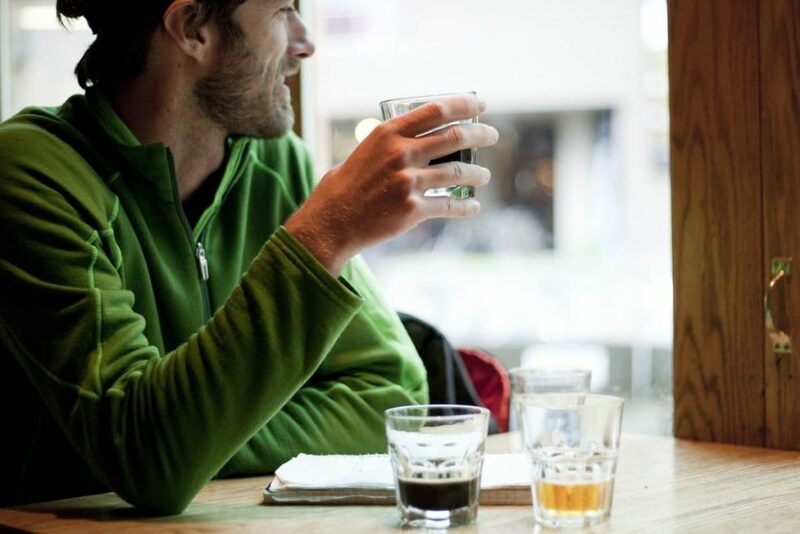 With so many great Whistler craft beer venues to choose from, and a whole festival dedicated to the nectar of the gods, there’s no greater time to be a beer nerd. Enjoy your beer responsibly this summer. Looking to taste the best during your visit to Whistler? Our Bar Hop Whistler pub crawl experience was made for you!